Shopping for Day of the Dead Wallets? 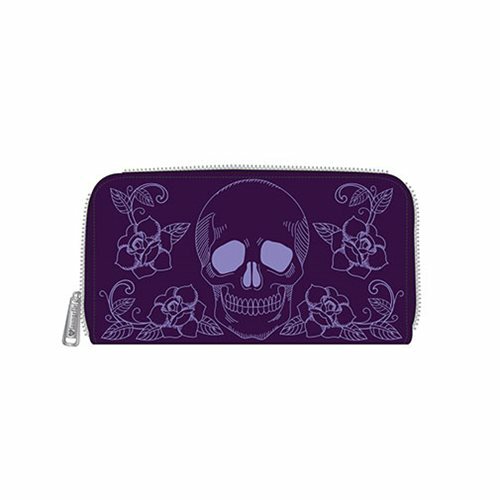 This Skull and Roses Purple Purse is made of faux leather with embroidered details. It measures approximately 8-inches x 4-inches.